A court in Poltava will select a measure of restraint for him today. The Ukrainian police have once again detained Hennadiy Kapkanov who is suspected of organizing the international cyber network Avalanche. "The organizer of the international crime platform, known as Avalanche, which infected up to half a million computers around the world, was detained in Kyiv yesterday," the Cyber Police said on their website. Apart from a laptop, money and memory sticks, police confiscated a Ukrainian passport issued in a different name. According to the Cyber Police, Avalanche has been in operation for seven years. Law enforcers from 30 countries took part in an operation to close it down. Germany is investigating Avalanche as a platform from which global malware attacks and money laundering operations were launched and administered. Experts put the losses caused by the network at over 6m euros. According to preliminary estimates, global financial losses run at 100m euros. 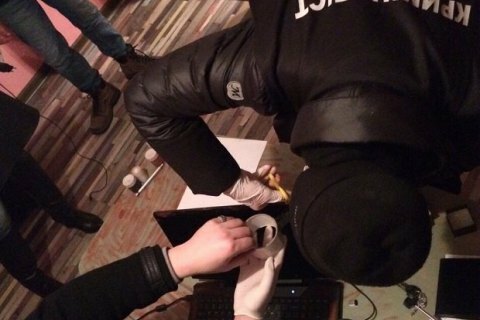 On 30 November 2016, police carried out an international special operation against this cyber network and detained its organizer, 33-year-old Poltava resident Hennadiy Kapkanov. On 1 December, the Zhovtnevyy district court of Poltava refused to arrest him and he fled. He was then put on an international wanted list.